Transitioning from adolescence to adulthood and moving beyond high school can be a trying time for youth – particularly for those with ASD. 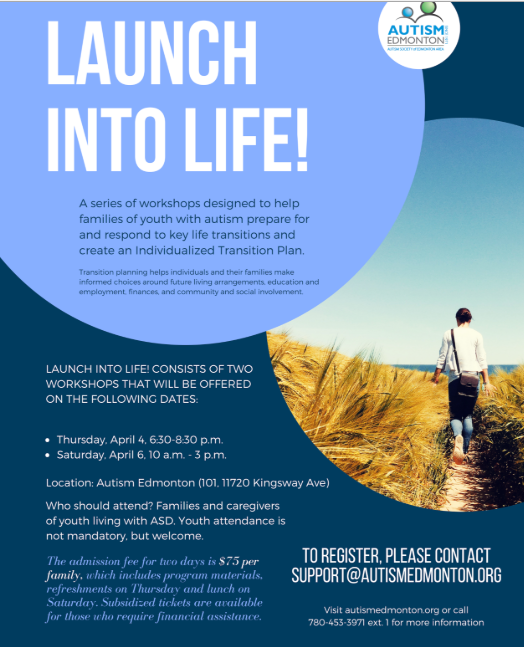 To help families plan and prepare for their child’s transition to adulthood, Autism Edmonton is excited to offer Launch into Life! 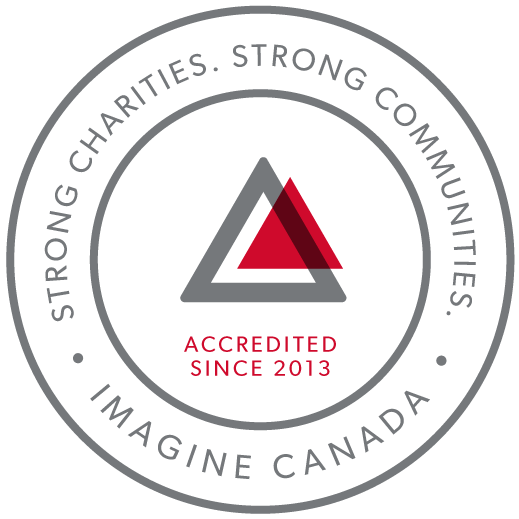 – a set of workshops designed to help families of youth with autism prepare for and respond to key life transitions and create an Individualized Transition Plan. Transition Planning Benefits Transition planning helps individuals and their families make informed choices around future living arrangements, education and employment, finances, and community and social involvement. Each individual with autism is unique and transitioning may go smoothly or take longer and be more challenging depending on circumstances. But with support and careful planning, many individuals with autism can successfully prepare for adulthood. Start Early The transition planning process can begin at any age. Starting the planning process as early as possible (ideally, around the age of 13) allows having more time to prepare and implement a plan that can effectively address the challenges of preparing for adulthood. However, no matter when you start it, or how old your child is, the Launch program will be valuable to you. About the Launch Program The Launch Program, an initiative of The Sinneave Family Foundation, began by helping families create individualized transition plans one family at a time. Over time, the program evolved into a group-based workshop format to allow families to come together to share their experiences, connect, and learn from each other. Lauch into Life! workshops focus on discovering personal strengths and areas for growth based on an individual’s interests, abilities and needs. They provide valuable information about the following topics: Understanding and preparing for key transitions across a person’s lifespan Managing health and mental health issues related to ASD Navigating change from pediatric to adult health and support care systems Finding the right social and recreational programs in the community Creating a shared vision for your child’s future Developing life and vocational skills Exploring volunteer and work opportunities Understanding housing and supportive programming options in adulthood Legal and financial issues, including guardianship and program funding Join the Workshops Launch into Life! consists of two workshops that will be offered on the following dates: Thursday, April 4, 6:30-8:30 p.m. Saturday, April 6, 10 a.m.-3 p.m. Location: Autism Edmonton (101, 11720 Kingsway Ave) Cost: The admission fee for two days is $75 per family. It includes refreshments and program materials. Subsidized tickets are available for those who require financial assistance. Who should attend? Families and caregivers of youth living with ASD. Youth attendance is not mandatory, but welcome. Don’t miss a chance to join these informative and hands-on workshops – register today! Please contact support@autismedmonton.orgto secure your spot.